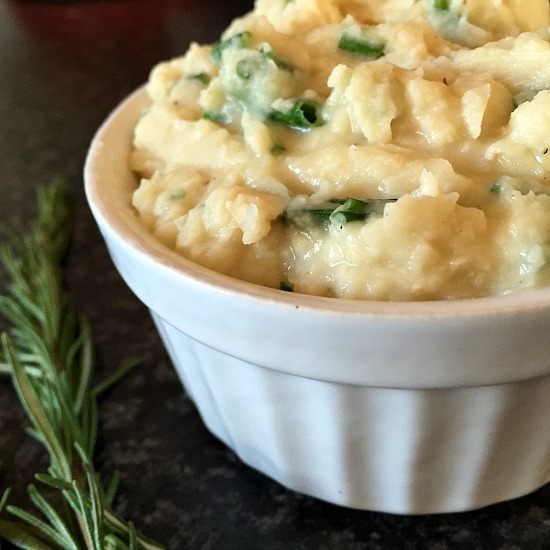 Vegan White Bean Mash with garlic, rosemary and chives, a delicious side dish that is packed with protein and fibre. It is also a great alternative to the mashed potatoes, or can be served as a spread with toast. Gluten free, low calorie, low carb, high protein. Beans are so underrated. They are ridiculously cheap, but are simply jam-packed with all the goodness you can get. 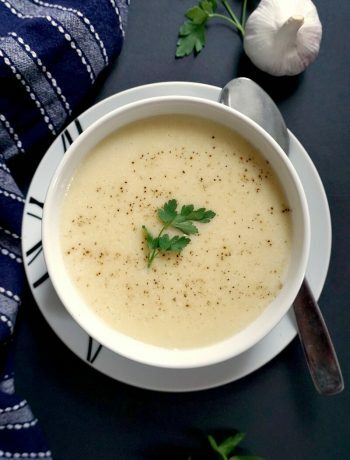 And if you have a tooth against carbs, and would rather stay away from the good old mashed potatoes, then you really have to try this butter bean mash. The wonderful trio of garlic, rosemary and chives simply transform this dish, making it so flavourful that is very hard to believe it is vegan. I actually prefer it as a spread most of the times, it makes for a cheap, but highy nutritious breakfast or brunch. It can also be served as a dip with different raw veggies or breadsticks, there are only 136 calories per serving, which makes this mash a perfect choice for any lifestyle. Other beans that works beautifully here are cannellini beans, black beans, pinto beans, kidney beans, or any other canned beans you like. How do you make white bean mash? To make the white bean mash is really simple, if you choose the canned beans, then it only takes about 10 minutes or under, since they are cooked already. 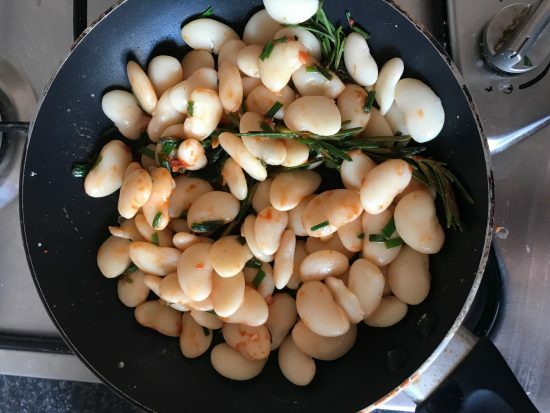 You can also go for the dry beans, in which case you will have the soak them first for a few hours, ideally overnight, then boil them in a few waters until they become soft. Heat up the oil in a pan, add the rosemary sprig, minced garlic and tomato paste, and cook for about 30 seconds. Add the beans and leave to cook for about 5 minutes, the beans will soak up the flavours coming from garlic, rosemary and tomato paste. Season well with salt and pepper, add to a blender, and blend to the desired consistency. How much mash do you get from a tin of beans? A tin of 400 g ( 13 oz) beans makes enough for about 2-3 slices of bread, so if you want to cook for more people, I would use 2 or 3 cans, and just increase the amount of all the other ingredients too. If you are looking for another spead with a kick, how about my Spicy Hummus Recipe With Tahini? 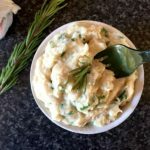 If you’ve tried this WHITE BEAN MASH RECIPE or any other recipe on the blog then don’t forget to rate the recipe and let me know how you got on in the comments below, I love hearing from you! You can also FOLLOW ME on FACEBOOK, and PINTEREST to see more delicious food and what I’m getting up to. 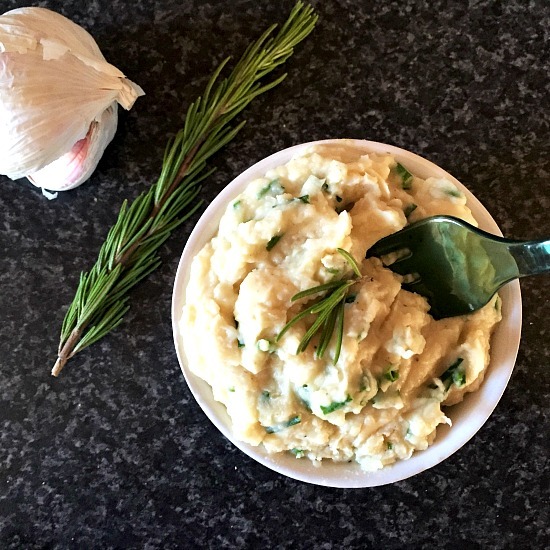 Vegan White Bean Mash with garlic, rosemary and chives, a delicious side dish that is packed with protein and fibre and is low in fat. It is also a great alternative to the mashed potatoes, or can be served as a spread with toast. Vegan, gluten free, low calorie, low carb, high protein. Drain the beans and rinse under cold water. In a pan, add the olive oil and heat it up on a low to medium heat. Use a garlic presser to mash the garlic, and add it to the pan together with 1 sprig of rosemary and tomato purée. Stir for a few seconds, then in go the beans and continue to stir for about 5 minutes. Remove the rosemary sprig, season the beans with salt and pepper. Blitz everything in a food processor until you get a smooth paste. Add the finely chopped chives, l prefer not to mash them, they give a nice texture if left chopped. Transfer to a bowl and decorate with rosemary. Serve chilled from the fridge. The finish look is gorgeous! A tin of butter beans? 16oz? Thank you for your comment! The tins l usually buy have 400 grams, l think that is around 14oz. I hope it helps! 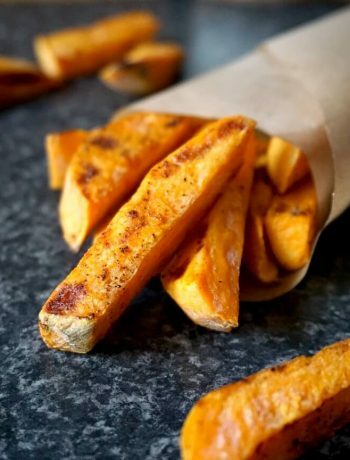 Could you serve this as a hot side dish or does is it best served cold? Thank you for your message. I think it is entirely up to one’s taste, l do like it cold, but it can also be served warm if you like, worth giving it a try. Let me know if you like it! How much makes one serving size? Thank you for your comment! I think one portion is enough for about 2 slices of bread, but it depends on the tin you use. The mash you can see in the photos was made from one tin of beans that weighted about 400g. I hope that helps. The recipe states it is for two servings. I am trying to avoid night shades. What could I replace the tomato purée with? Hi, Thank you for your comment! Perhaps you could use any tomato sauce you have instead, that should work well too. Thanks for the recipe! I am trying to eat more legumes and it seems like beans in the US are always made one of three variations: mexican style (refried or with corn and cumin), BBQ baked beans with brown sugar and bacon, or in a soup. Its nice to see some creativity! I’ll make this for sure. God bless. 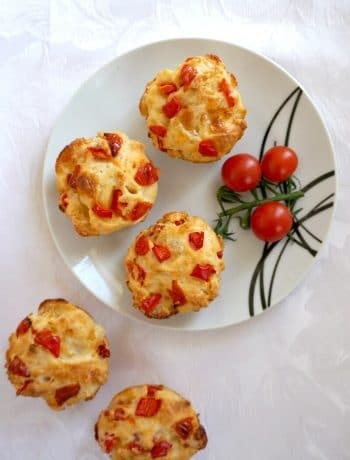 Thank you for your comment, I hope you will enjoy the recipe, it’s one of my favourite.